I know it’s been a little quiet on the blog recently, but I’m happy to say I’ve been restructuring a few things to give better value to my different platforms. More on that at the end of my post! I can honestly, say this has been my fave coat purchase of the season. I have to tell myself to grab a different one, sometimes. Nothing really beats fuzzy and cozy when its cold out, though! Plus, how awesome is this reversible tote? A color for each mood. Let’s talk about finding balance in life. There’s a really great quote I found on Pinterest that conveys my feelings on the topic. 2. Commit to it. Now you know what you want to work on. Make the conscious decision to restructure. 3. Set goals. Knowing what you what out of work, relationships, personal health and taking actions towards to it, will help so much. I like to do attainable immediate goals that leads to an overarching long-term ones. When you check off small goals on a daily/monthly basis, it makes you more motivated for the bigger ones and those goals don’t seem so far-reaching anymore. 4. Create a schedule. I love using my Reminders + Calendar app, and it keeps be on top of everything. There’s a list and deadline for different aspects of my life — work, fun, fitness etc. For me, creating a time to turn-off has helped so much. This way, I’m not working at random times at home or let things go over deadline (= stress, cancellations). I love putting in YOLO time, too! 5. Reassess. Once I get into the rhythm, I always like to go back every quarter and see what is working (or not). Whether you want better balance in work-life, relationships, or health/fitness. Breaking it down and taking small steps will help get you there. I know for sure, I’m much happier enjoying my life when I know whats for me and making sure I work towards it. Throw everything else into the wind. Over the holiday and my birthday month (January), I’ve brainstormed a few ways to create more intentional content. Same topics. Different approaches to the info. Instagram has definitely been a game changer in how we consume fashion content and content in general. As someone who started blogging about my outfits, I started to see redundancy in double-posting, if you will. I can describe the color of the clothes etc, but you can definitely see it for yourself. Going forward, I want to give you guys tips, edits and speak about whatever is on my mind. The photos will be there and items linked, of course! 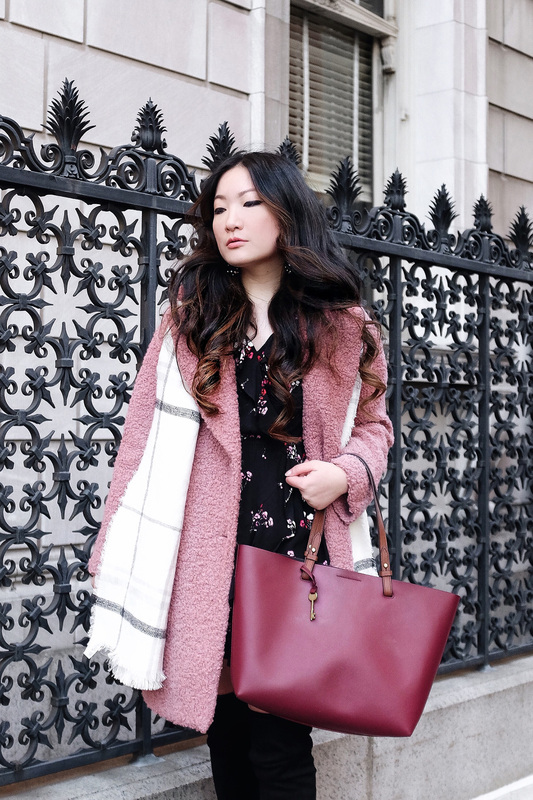 IG is definitely great to see how different things are styled quickly, but this blog will go beyond a basic outfit post. That’s not only for fashion topics but everything else on this site! YouTube will be a place for more in-depth talks about shopping + style. I love the dynamic side of video. So, there will more more hauls, talk-throughs and styling ideas. I would also love to work on more creative videos too. What this means for the blog? Better content! I would for it to be a destination, inspiration, and resource for everything of interest.